"Spoon" - Page 3 - Welcome to TVPaint Community forums ! slowtiger wrote: "Spoon" got accepted for the International Competition at Trickfilmfestival Stuttgart, which means premiere is end of April! I plan to attend, anybody else? No decision yet about my film. Do you know if you are in competition? I love your B/W background. Ive just started to experiment with creating my own brushes. great effect you made on the trees and landscape. 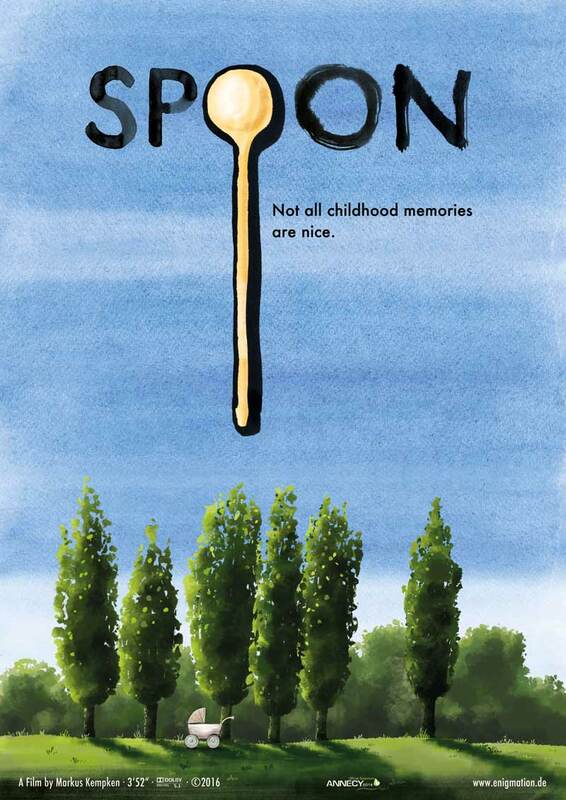 "Spoon" is selected for competition in Annecy. I'll be there, definitely. Looking forward to see some of you there! Congrats! You make me jealous, Slow! Unbelievable how time-consuming this festival business can get. I'm creating screener versions in odd language combinations for umpteen different requirements - a screening DCP isn't enough, festivals nowadays want videofiles for their archive, their sponsors, their "marketing partners", their media partners, and a DVD for the moderator, and so on. I now have german and french subtitles (Tip: do them right at the start, and include them in all DCPs). And I've booked some train travels. Where do you need french subtitles? I just never got the need for french subtitles (even if it would be nice to have some). As far as I know even Annecy requires only english subtitles. So I was curious if there is any important festival, which requires them.